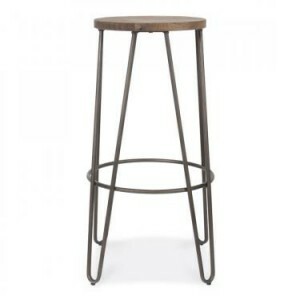 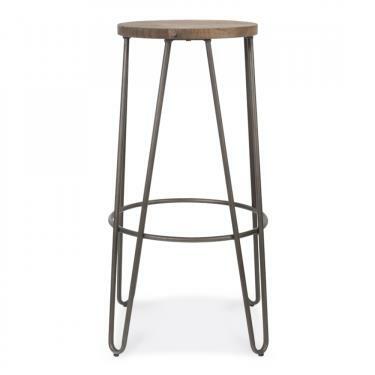 The Trieste High Stool is part of the Industrial range. 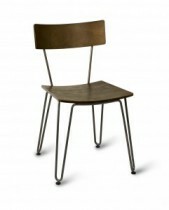 Gun metal hair pin legs, with a wooden Veneer seat. 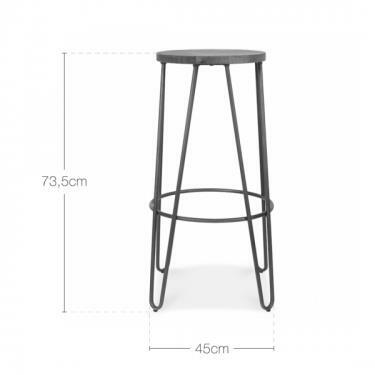 Also available with a matching Side Chair.